A highly anticipated book detailing the rise and fall of Theranos and its founder, Elizabeth Holmes, has been released. Wall Street Journal investigative reporter John Carreyrou’s new book, “Bad Blood: Secrets and Lies in a Silicon Valley Startup,” provides an in-depth look into the startup sweetheart and how its fortunes turned so quickly. The book is currently available at Barnes & Noble, on Google Play Books, and on Amazon.com. Holmes started Theranos at age 19 after dropping out of Stanford University in 2003. The company aimed to create cheaper, more efficient alternatives to traditional blood tests using its proprietary technology. The concept was that a drop or two of blood, drawn by a simple pinprick, could enable the Thernaos technology to perform a full range of blood tests. 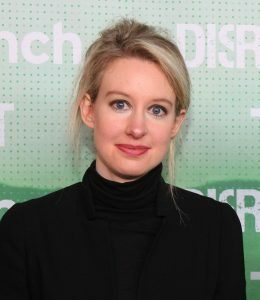 Rumors soon emerged that everything was not as it seemed at Theranos. The entire premise that the company was based on was scientifically dubious. The official descriptions of how Theranos’ blood-testing technology worked were vague. The lack of peer-reviewed data to back up the company’s scientific claims was suspicious. Red flags began to emerge. The first in a series of detailed exposés about the company were published on the front page of The Wall Street Journal in October 2015. Some of the most alarming parts of the story involved patients who got faulty results and were rushed to emergency rooms and how employees who questioned the technology were fired. A former laboratory director at Theranos claimed he witnessed included cheating on proficiency tests for the technology. It was also found that most of the tests were graded not by Theranos’s proprietary technology, but by routine commercially available equipment. Ultimately, nearly a million tests conducted in California and Arizona had to be voided or corrected. Theranos recently laid off most of its employees and is trying to stave off bankruptcy. Holmes has settled fraud charges with the SEC and the company has settled private suits. The company remains the subject of an ongoing criminal investigation by the Department of Justice. How this story will end, nobody knows.